Stores used to be brick-and-mortar buildings with show windows outside and checkout counters inside. Not so much anymore. As online shopping gets more and more popular, consumers are shifting their preference from “real” stores to browsing, online checkout and shipping. Naturally, this change in buyer behavior means a corresponding change for sellers: we’re seeing more and more businesses leverage e-commerce platforms to create functional, aesthetically pleasing online storefronts. And that’s where Magento comes in. A great platform needs even greater hosting. 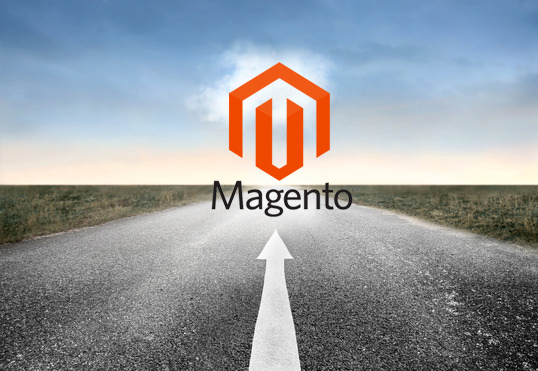 Magento – as you know – is a versatile, feature-rich open source e-commerce platform, designed to maximize sales and visibility for online stores. (Of course, it’s not perfect. To read our articles on speeding up page load times and troubleshooting in Magento, just click.) But by and large, Magento is the future of e-commerce. And we’re going to see more and more online stores take advantage of this platform. In order to support Magento properly, you need the right type of hosting. That would be dedicated, fully managed servers that include lightning speed, superior bandwidth and obsessively monitored security. (Frequent backups and 24/7 service and support are nice, too.) To learn more about the basics of fully managed hosting, read our article here. Companies need a sophisticated IT infrastructure to handle the demands of a complex Magento store: multi-server clusters featuring real-time network monitoring, load balancers and engineers on-call 24/7. To prevent cyber threats, sophisticated intrusion detection (IDS) systems and firewalls should also be in place. Real stores aren’t going away yet – so integration is key. While customers are making an organic shift towards online shopping, “real” stores will still be an appreciable player for a long time. One of the challenges retailers face is integration: how to create seamless transitions and interaction between physical and virtual shopping. Ideally, the online store and the actual building should be halves of a whole. And Magento hosting providers should work with their clients to ensure that all these options are available fast, stress-free and without downtime. Sometimes, a slow page load may be all it takes to send a customer to another site. So flexible shopping options plus world-class hosting are vital. This is the future of shopping. So hold on to your hats. For tips on building a successful e-commerce site, read our articles here.